The DRDE has its roots in a research laboratory established by the Maharaja of Gwalior in 1924 to explore forest products and mineral resources in Gwalior. The laboratory came into existence and was inaugurated in 1947 by Lord Mountbatten. The laboratory was then named the Jiwaji Industrial Research Laboratory. It was taken over by the Ministry of Defence in 1962 and by 1973, it was a full-fledged member with its own separate charter of duties. The institute is currently working on the synthesis, process, and product development of bioactive compounds, trace level analysis of chemical and pollutants, control of insect vectors, investigations on viral and bacterial organisms leading to diagnostic procedures and kits for the control of diseases, toxicological evaluation of hazardous material and antidotes, application of bio-technology in human waste disposal and disease control, development of equipment and devices against chemical and biological agents, and organizing and conducting training courses at national and international levels. It is also developing experimental studies of hazardous chemicals and developing antidotes, developing rapid diagnostics tests for pathogenic organisms and remedial/preventive measures, safety evaluation of chemicals and materials developed for the Armed Services, and developing methods for the detection of chemical agents and designing and fabricating protective devices. The institute has developed detection devises such as water poison detection kits, residual vapor detection kits, three-color detection paper, and a portable gas chromatograph. In October 2001, the company Troikaa Pharmaceuticals Ltd. supplied the institute with emergency kits to help it treat victims of a nuclear, chemical, or biological attack. The institute has developed protection equipment such as "canisters (with aluminum bodies), filter absorbers for static shelters, MBT/BMP 2/T-72 tanks, naval ships from around the world, and submarines, first aid kit type A and CW type B, and reusable autoinjectors with drug cartridges containing atropine sulfate and 2-PAM chloride." The institute has developed decontamination procedures and equipment such as personal decontamination kits and portable decontamination apparatuses. It has also worked on "decontamination formulations, synthesis structural elucidation and toxicological evaluation of toxic chemicals. In addition, it has established an analytical procedure for trace level detection of compounds of defense interest and those sent by the Organization for the Prohibition of Chemical Weapons for inter-laboratory comparison tests. Antidotes for chemical warfare agents such as cyanide, nerve agents, sulfur mustard, and toxic metals have been developed." In November 2001, the institute offered four training courses in anti-germ warfare to officers of the State Governments of India. The institute is designing, developing, fabricating, and installing bio-digesters, as well as developing and testing specific monoclonal antibodies for laboratory and field identification of plague bacillus (Yersinia pestis), standard WHO antibody detection kits of passive hemagglutination and inhibition from antigen extracted from the Indian Y. pestis, and is identifying two new plague foci by isolating eight new strains. It is also developing moth-proof clothing, evaluating diagnostic kits for a number of diseases including brucellosis, typhoid, meningitis, and encephalitis, in addition, to developing a methodology for inhalation toxicological effects of aerosols, particulates, and dusts, and developing protocols for in vivo and in vitro toxicological investigations involving chemical and biological agents. The institute has conducted Continued Education Program (CEP) courses entitled "Fundamentals of Biotechnology," "Hazards in Chemical Laboratory Prevention & Protection Methods," and "Concept in Toxicology." It is also the regional training center for the Organization for the Prohibition of Chemical Weapons (OPCW) and has trained over 250 chemical weapons inspectors. It has also conducted instructor training courses for the OPCW and is also training its personnel to comply with the Chemical Weapons Convention. As its website outlines, the institute contains four different facilities, each with its own capabilities: the Sophisticated Analytical Instruments Laboratory, Quality Assurance Facility, Gas Generation Facility, and the Inhalation Toxicity Facility. Sophisticated Analytical Instruments Laboratory: Conducts trace level identification and quantification of various organic chemicals using instruments such as a gas chromatograph, a mass spectrometer, a temperature programmed high resolution gas chromatograph, a high performance liquid chromatograph, and a Fourier transform GC infra-red spectrometer. Quality Assurance Facility: Evaluates surface characterization, breakthrough time, does environmental testing, particulates filtration efficiency, and does vibration testing. Gas Generation Facility: Uses static and dynamic methods to generate air agent mixtures. Inhalation Toxicity Facility: Conducts inhalation studies on aerosols, particulates, dusts, and smokes, as well as studies using static and dynamically operated whole body or nose/head only assembly for acute and subacute toxicity. The institute is a recognized center for PhD research by the Indian Institute of Science, Bangalore, Indian Institute of Technology, Delhi, University of Poona, Pune, Dr. HS Gaur University, Sagar, and the Jiwaji University, Gwalior. Many Western observers have alleged that the institute actually carries out research and development of biological weapons. Officials deny these allegations. 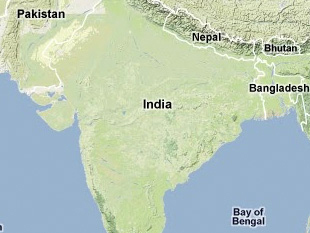 It is also believed to be one of the storage sites for India's chemical weapons. The institute is also working on the development of compounds of defense interest such as tear gas, an anti-cancer drug 2-deoxy glucose, a mosquito repellent diethyl phenyl acetamide (DEPA), and various rodenticide formulations, anti-cockroach formulations, and slow-release insecticidal paint. Pallava Bagla, "Little-known Lab, India's Germ Buster," The Indian Express, 25 October 2001, www.leadindia.org. Defence Research & Development Establishment Manual, www.drdo.org. "DRDO Laboratories & Establishments," http://mydrdo.tripod.com. Rajya Sabha, "Training Courses for Anti-germ Warfare by Defence Research and Development Establishment, Gwalior," PIB Releases, 21 November 2001, http://pib.nic.in. "Ahmedabad Firm Devises Kit for Nuclear, Bio Attack," Gujaratplus.com, 30-31 October 2001.